Jeff Mills, Gerald Mitchell , Kenji Hino , Yumiko Ohno. 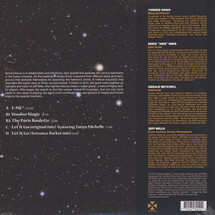 This is a double record set, 180g Axis Audiophile Series, in a color gatefold jacket. 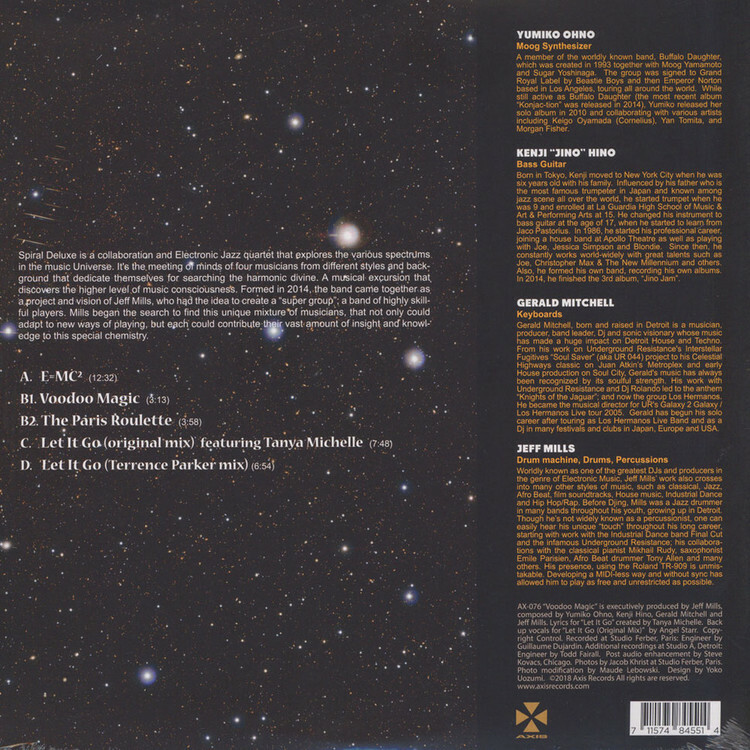 Most tracks on this release were recorded in one-take recordings to "capture the moment", which is a vital element to what makes Spiral Deluxe so unique. "Let It Go" was composed by Spiral Deluxe and features even more masterful artistry of the likes of veteran Vocalist Tanya Michelle, with the mix production of the one and only Detroit native producer and DJ Terrence Parker.